If you've read our best travel crib review here, you will know that there are several excellent cribs, some even double function as a pack and play/playard in the market to choose from. However, once your little one outgrows them, what do you do when you travel with them? The answer is - a portable travel bed! Sure, you can always request for an additional bed for your hotel room but that'd add to your cost, not to mention cram the room further. A travel bed for toddler will save you all the trouble, and it might just make it easier for your toddler to fall asleep compared to an unfamiliar hotel bed (yep, we know of parents who suffer from this!). 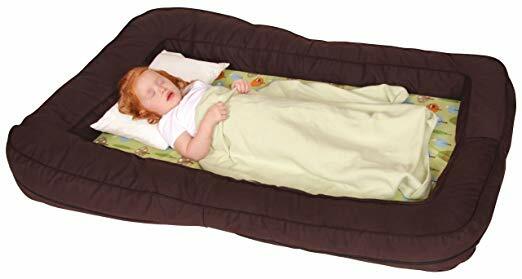 Besides, you can use a portable toddler travel bed for your camping trips or as a daytime nap bed, even as a spare bed for when their friend comes for a sleepover! Toddler travel beds can be separated into two types basically - foldable and inflatable. This type folds up like a camping chair (or portable high chair as we call it here) and is the best travel bed for camping, road trips or grandparents' house. Apart from being very easy to set up, another benefit of a fold-up toddler travel bed is that you can basically use it anywhere, and not just for sleeping. We mean, just look at the picture on the left! You may notice that this type of toddler travel bed does not have raised sides. Not a major problem, because when your toddler sleeps on it, his/her weight will cause the bed to sink slightly in the middle, thereby raising the two sides to create a slight barrier to prevent them from falling out. Unless your little one rolls around vigorously, or if your purpose is more for air travel, then the following type of toddler travel bed may be a better option for you. 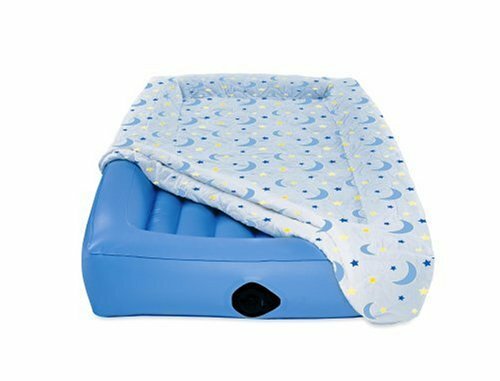 Perhaps the more common type of toddler travel beds, this is just like an inflatable air mattress, but with raised sides. They are perfect for air travel because ones deflated, they pack up compactly and does not take up much precious weight and space. One major tip though: always get an inflatable travel bed that comes with a pump (be it hand pump or electronic pump - the latter, if possible) because boy, you will need A LOT of lung capacity, and patience, if you choose to blow it up by mouth. The downside of this type of toddler travel bed is that they are usually much more expensive than foldable ones. 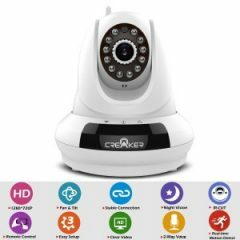 This is because they are made of very high quality and durable, tear-resistant material that bumps up the manufacturing cost. However, they generally last a very long time, with some parents using it even after the 4-year mark, so that is a comfort to know that you're getting your money's worth. We will start off with foldable toddler travel beds first which to be honest, there aren't many out there that is of high quality. Not for the Regalo My Cot Portable Toddler Bed though - this is unarguably one of the best toddler travel bed in the fold-up category. A travel bed for 2 year old and beyond with most saying that it fits kids up till 5 years of age, this toddler travel bed has a frame is made entirely of steel so it is very sturdy. 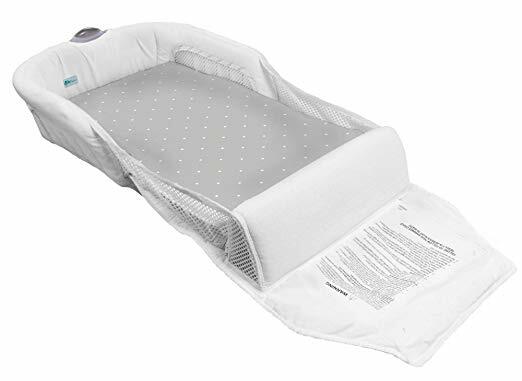 The bed liner is made from heavy-duty, waterproof nylon that includes reinforced stitching to make it extra secure to sustain your toddler's weight. For better sleeping comfort, this portable toddler travel bed has also included a cotton fitted sheet that will fit snugly over the frame. What parents really love is that this child travel bed can be set up and fold down compactly with a single motion in seconds. When folded down, it is a fraction of its set up size that can be fitted into the included carry case for easy portability. In fact, it can even fit in a standard-sized suitcase. At 4 pounds, you wouldn't feel a thing carrying it about. 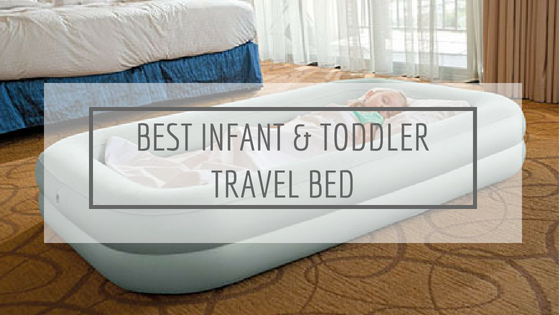 What makes the My Cot one of the best toddler travel bed is its versatility. 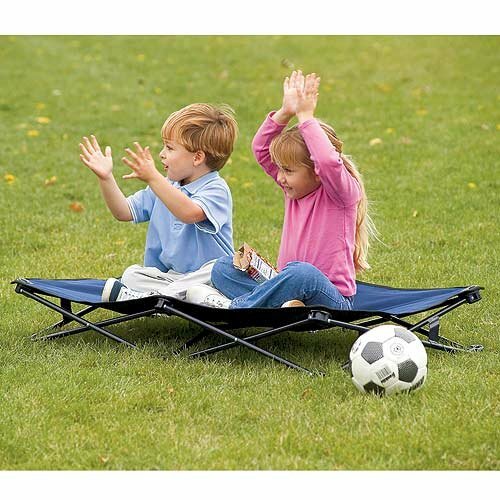 It can be used both indoors and outdoors, as a bed or as a bench, from staying over at grandma's to a picnic at the park or a day out at the beach. The raised legs will keep your toddler off the ground and prevent dirt or insects from getting into contact with them, and the liner can be cleaned up quickly with a damp cloth and soap (note, the included cotton fitted sheet is machine washable too) for easy cleaning. While many foldable toddler travel beds are bulkier, the Regalo My Cot Portable Toddler Bed folds up small enough for plane travel. And at a price of under $25 (! ), it is no wonder this toddler travel bed continues to be one of the bestsellers in the market. If you have bought a Leachco pregnancy pillow before, you will know that this is a brand that makes some of the most comfortable foam sleep products. Their BumpZZZ Travel Bed is of no exception. 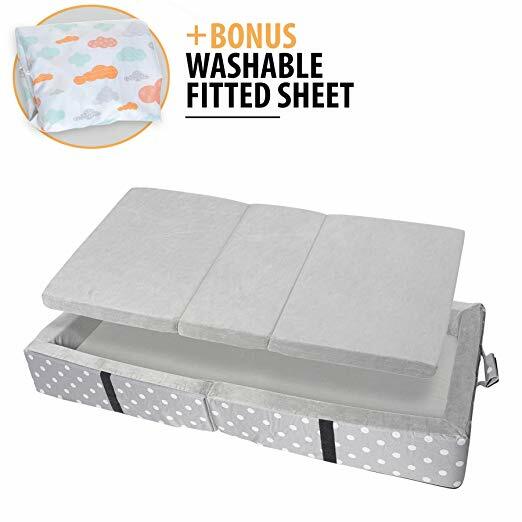 This is not your standard foldable toddler travel bed in that instead of canvas liner, it is made of foam and foam only (from the firm, cushioned side bumpers to the padded bottom). Yep, no metal frames. While this can make it bulkier, it also means that your toddler gets a soft landing which is important if s/he is a little clumsy. 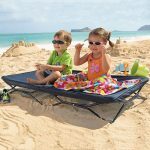 Both the center foam pad and outer bumper padding are easily removable for laundering and the whole generously-sized toddler travel bed can be folded into the included bag for portability. As there is nothing to inflate, it is always ready and there is no extra equipment needed to set it up. In terms of versatility, it may not match that of the Regalo My Cot in that we do not recommend using it outdoors, however, the BumpZZZ allows you to use it either fully extended or doubled up for a stackable lounge cushion. Fully made in the US, the Leachco BumpZZZ Travel Bed has quality controls that you can trust and is one of the safest toddler travel bed available. 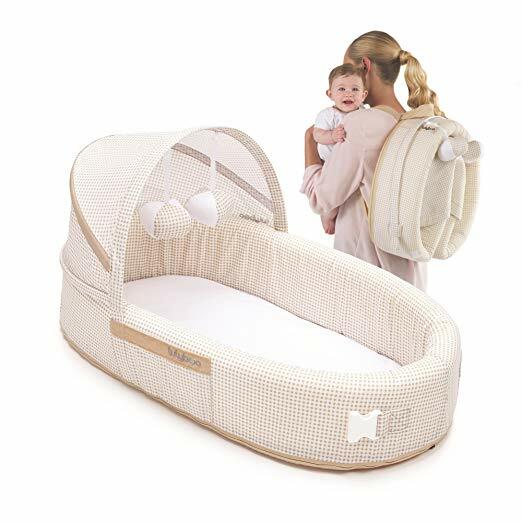 It is much more expensive than the Regalo My Cot, however, it is also much more comfortable because of all the foam padding that goes into it. We think it may not be as convenient for air travel because we find it not as packable as the others but for car trips? 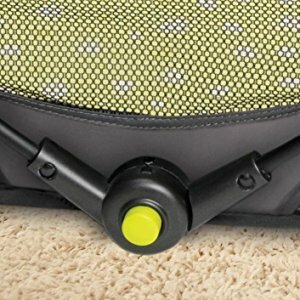 Definitely one of the best baby travel bed for those! 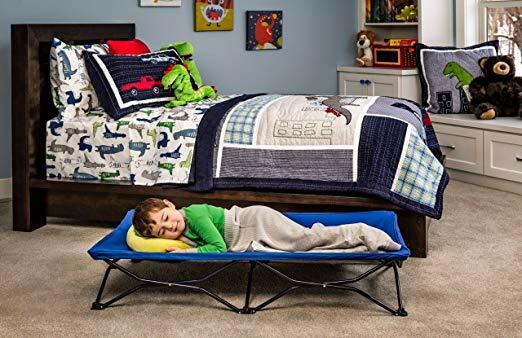 Another foldable toddler travel bed that we will recommend is this Milliard Portable Toddler Bumper Bed that has an all-around side to keep your little one safely inside without rolling out. The inner of this travel bed for toddler is made of plush velour material that is waterproof, washable and super cozy. If ever there is any accidents or spills, simply zip off the mattress encasement and throw it into the washer for a quick fix. The bed folds easily and can be used for trips, sleepovers, a night in Mom's room, and more. 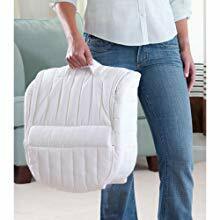 One thing worthy to note is that in the folded position, it actually acts as a suitcase as well that your child's pj's, blankie, pillow, and more can be stowed inside. As the outer polka dot canvas material is durable and waterproof, you can simply wipe it clean when needed. To make your life easier, a bonus washable fitted sheet that you can slip on and off in a snap is included in the package. 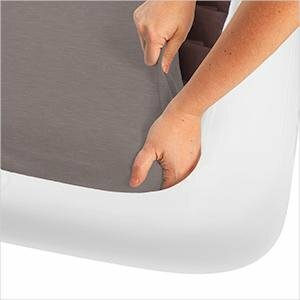 Unique Velcro flap closures are provided to keep the bed gap free so that little hands and toes don't get caught. All foam that are incorporated into its making is certified to be free of toxins and chemicals so you don't have to worry about your child's safety in it. 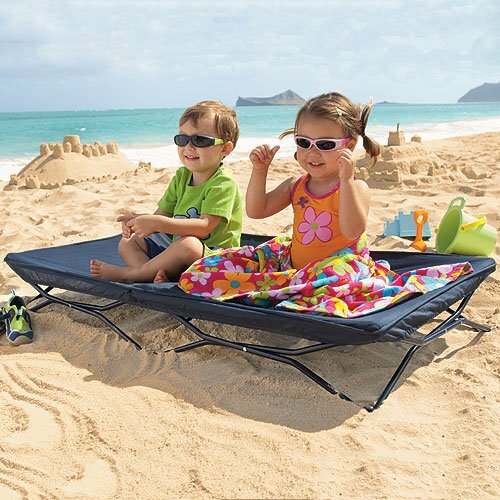 Price-wise, the Milliard Portable Toddler Bumper Bed is fairly reasonable, being in the middle of the two toddler travel beds price range above so we'd say this is one good quality portable toddler travel bed that many can afford. 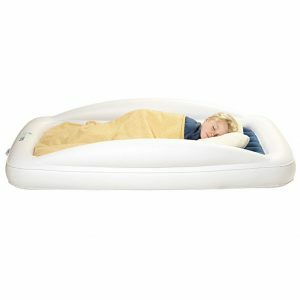 The Hiccapop Inflatable Toddler Travel Bed is one of the best toddler travel bed in the inflatable category which is not surprising, considering it too, like Leachco, has produced some of the best pregnancy pillows in the market. The quality and durability of this toddler travel bed is unmatched of - with its trademarked inlay-enforced vinyl (one of the highest quality, BPA and phthalate free) that is 40% thicker than its nearest competitor, it is virtually puncture-proof. The reinforced weld-seams and a heavy duty air valve further insure against air leakage. We all know that finding a practical toddler bed that doesn't leak air is probably the biggest challenge of all so this is certainly one of Hiccapop's bestselling point. 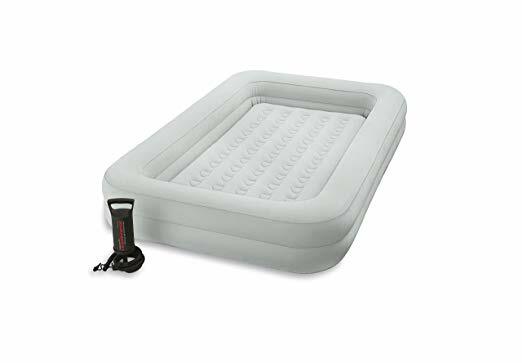 With easy-to-follow instructions printed right on the mattress and a powerful electric turbo pump, setting up this inflatable bed is painless and speedy. It takes just 30 seconds to inflate. And when you’re ready to go, our quick-release valve makes deflating as easy as folding, rolling and going. There’s even a convenient extra large storage bag that’s easy to stow in your luggage or in a small cupboard. 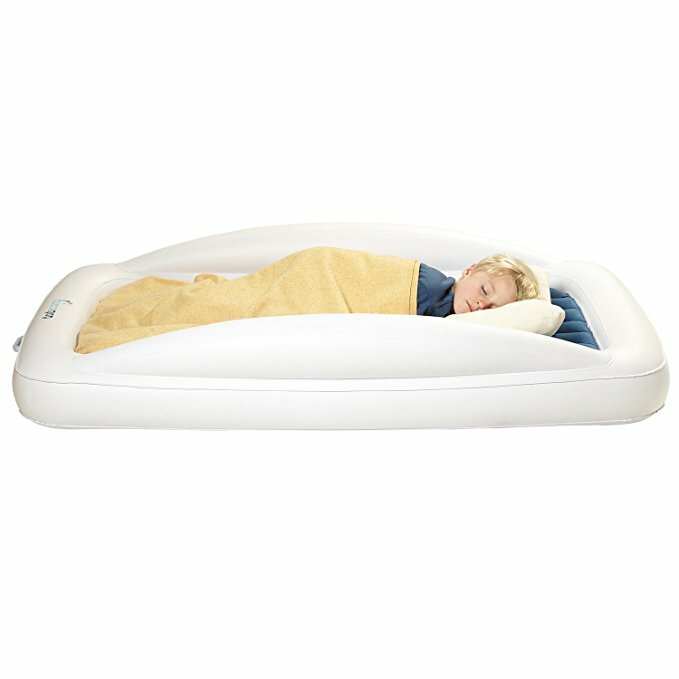 Most inflatable kids travel bed come with bed guards and the Hiccapop is of no exception. For better safety, extra-large built-in travel bed rail bumpers that are longer and 2" taller than other inflatable toddler beds are engineered into its design so your little one's safety is guaranteed. As pictured left, the mattress is removable and is of a convenient size that will fit all standard crib sheets. However, even if you don't have one handy, the velvet flocked mattress is the smoothest in its class so it is comfortable enough on its own. Exceeding all federal standards for child safety, the Hiccapop offers lifetime guarantee against punctures, leaks and even pump issues. You will think that it will cost a bomb for a toddler travel bed that has so many amazing features but no, the Hiccapop Inflatable Toddler Travel Bed is of a reasonable price point that is not much different from its competitors. No wonder it is highly raved by parents all over the world! Coming very close, in fact, we'd say they are of the same par is the multiple award winner - The Shrunks Tuckaire Toddler Travel Bed that is free of phthalates, BPA and lead. Bearing a very similar design to the Hiccapop, actually, this one here is the original toddler travel bed that has been voted as the best toddler travel bed for 10 years in running as well as won many design awards. For instance, its trademarked security rails are designed low to the ground to help prevent your child from falling and stay in bed. Best of all, there are NO SQUEKY NOISES, thanks to the soft flocking on top. Bigger does not always mean better - the tuckaire toddler travel bed is of the perfect size and right fit because toddlers need to feel confident and safe in a transition bed. It is very lightweight and folds easily to fit into the included lightweight nylon bag, complete with drawstring enclosure. Inflates easily, the small but powerful little pump gets the job done in just about 30 seconds. 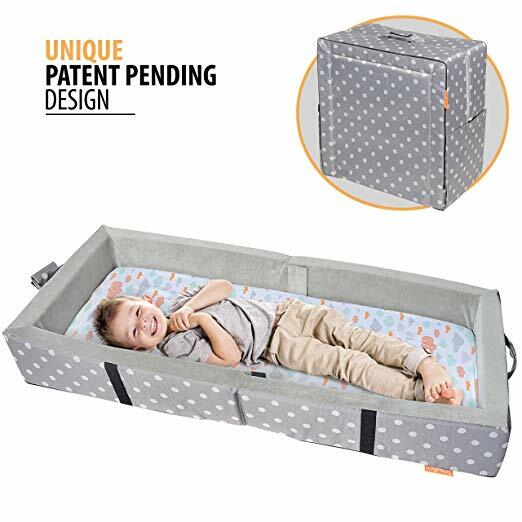 This portable toddler travel bed allows standard crib size sheets and blankets to be tucked neatly into the inner mattress, therefore keeping the sheets and blankets off the floor so that kids can feel safe and cozy through the night. 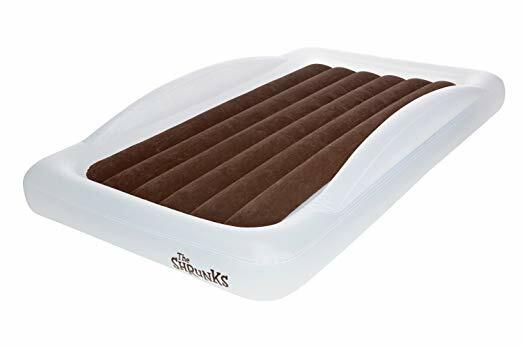 To get lifetime warranty which the brand offers, make sure that you buy the original The Shrunks Toddler Travel Bed because there are plenty of counterfeits out there due to its popularity. They may look the same, but they are certainly not of the same quality. The Intex Kids Travel Bed Set is the best travel bed for toddler below 2 years of age because it has sides that go all the way around to keep them safe from rolling out of bed. This is perhaps the biggest distinctive and most liked feature of the Intex toddler travel bed as it sets it apart from many other competitors. The frame provides extra stability so even if you have a particularly volatile sleeper, this toddler travel bed here will keep him/her safe. Even with the extra material, it can fit most luggages for air travel once deflated but note that it doesn't come with a packing bag so that's a downside (pump is included though) to take note of. The mattress, or airbed as the brand calls it, can be separated from the frame to make an additional sleeping surface. Or, you can put them together for easy tucking of sheets so that there won't be any loose ends laying around. There is another common downside that many parents found - you can smell a rather prominent plastic smell when you first open the Intex Kids Travel Bed Set. We recommend airing it out to let the new plastic smell dissipate before letting your toddler sleep in it. Don't worry, once that's done, there won't be any odor left anymore. If the intex toddler travel bed is for the smaller or more volatile sleepers, the AeroBed Air Mattress for Kids is the opposite - this children travel bed is designed for kids four years and older with its 50x25-inch sleep surface. 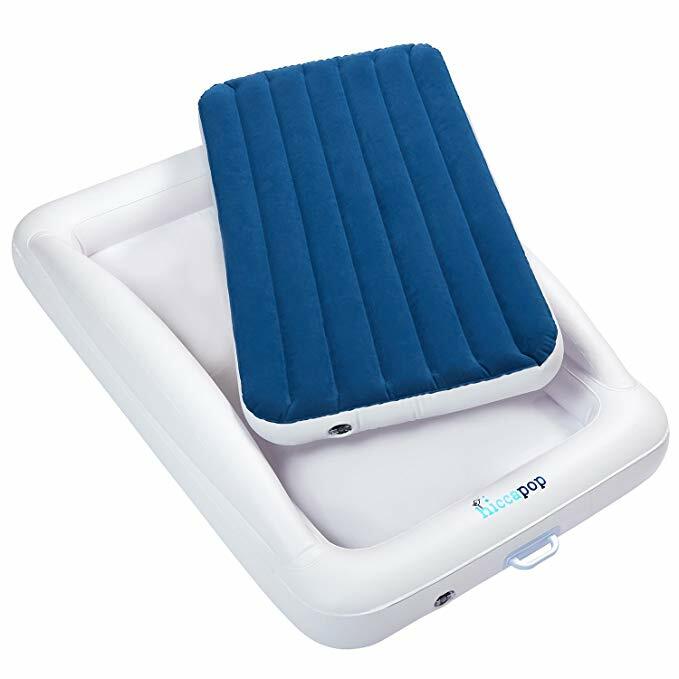 Despite being named as an air mattress, it is still a travel bed for toddlers with its 4-inch high surround safety cushion to keep children safe on the air bed without accidentally rolling off. Made of heavy-duty PVC material with electronically welded seams, this toddler travel bed offers long-lasting use while the horizontal channel construction provides extra support and helps prevent sagging to keep your toddler comfortable. 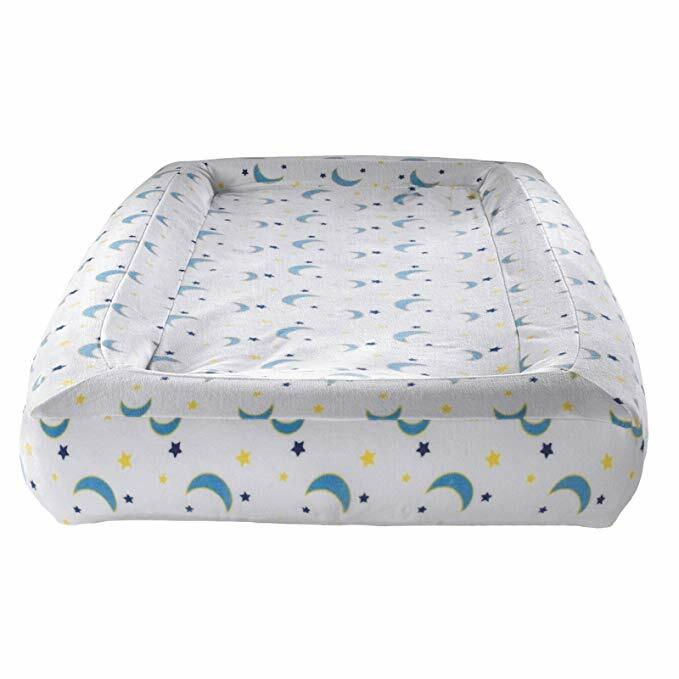 Unlike other toddler travel beds, this one here includes a thick, washable fitted mattress pad with a cute star and moon design for added comfort. This blow up bed inflates in less than a minute thanks to the included AC pump and can deflate in less than 15 seconds. Supporting up to 300 pounds, the AeroBed Air Mattress for Kids can be a travel bed for adults too so one will never outgrows it. 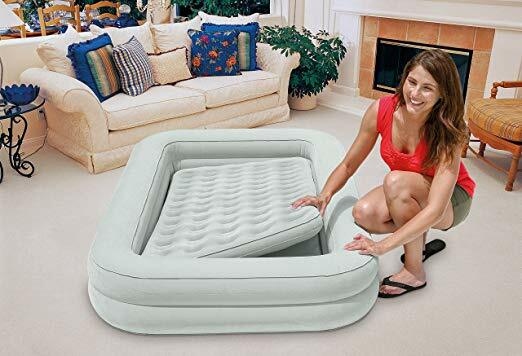 However, we do note that there has been some problems with air leaking for some parents, so keep in mind that there may be a chance that you will have to inflate this toddler travel bed more than once. Last but not least in the inflatable toddler travel bed category is the My First ReadyBed, a 2-in-1 sleeping bag and inflatable airbed. Quite different from the above in that this toddler travel bed here is wrapped-around at the head and 1/3 of the sides, it forms a supportive headrest and tumble-free sides for comfort and safety. As such, it is less bulky which makes it easier to pop it open as well as pack it up. However, if your little one is particularly volatile in his sleep, this may not be the best toddler travel bed for him. Otherwise, this is good for travel because of its smaller size. 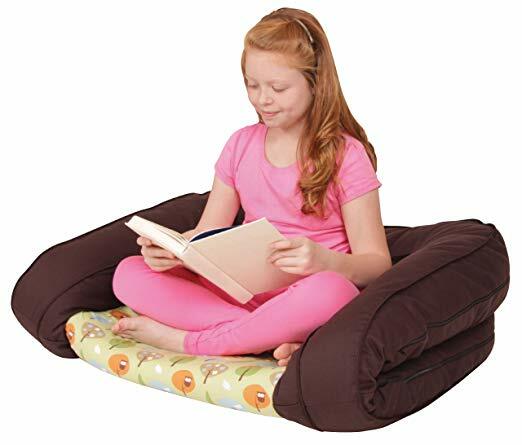 A removable, washable and soft cozy cover is included so that you can keep the travel bed clean at all times. 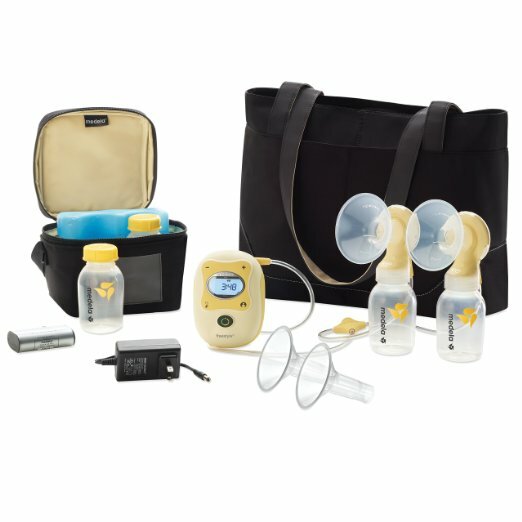 A pump as well as an integral carry bag are included for easy storage and transport. Although it may not look like your standard inflatable toddler travel bed, do note that the My First ReadyBed is an inflatable product and therefore not intended for use as a jumping inflatable or play mattress. Also, it is a travel bed for one year old (or 18 months) up to 3 years old only. Children older beyond that may deflate the ReadyBed so it is advised that you follow the inflation and care instructions carefully to ensure you get the best toddler travel bed. The following is catered to the transitional moments where your newborn is too young for a toddler travel bed, yet a travel crib/playard may seem a little too big for the sole purpose of sleeping. Yes, we are talking about an infant travel bed that you can place next to you and co-sleep on the same bed when you go travelling. The Lulyboo Baby Lounge To Go is voted as one of the very best baby travel bed that has functionality, style and convenience all in one package. As you can tell from the picture above, this newborn travel bed can be transformed from a comfy, cozy space for your baby to a portable backpack. In fact, this is the only portable baby bed in the market we can find that folds into a backpack in seconds. This no doubt allows for easy and convenient portability and storage while travelling because you can have both of your hands free. This multi-use bassinet can be used as a crib, co-sleeper, playpen, changing pad or changing station anywhere baby go. It includes an easy to install hanging toy bar and two plush toys to provide your newborn with sensory stimulation on-the-go while the removable canopy provides shade from the harmful rays. Which brings us to the next point - the Lulyboo has a waterproof bottom and an entirely removable liner that is machine-washable so you can use it for your outdoor adventures too without having to worry about spills, messes, or rough terrain. It is understandable why the Lulyboo Baby Lounge To Go is one of the best travel bed for baby with its many amazing features. Being so lightweight and multifunctional, it has reinvented the way babies sleep and play both indoors and outdoors. Even if you do not plan to air travel with a newborn, it is still worthy to get this infant travel bed because you can provide a familiar place for baby to sleep in no matter where they are. 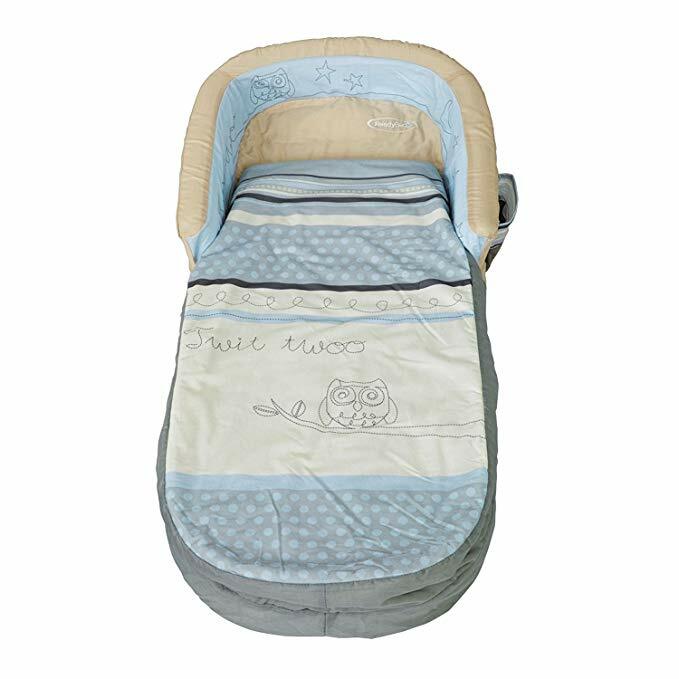 Another small travel bed for baby at newborn stage we'd recommend is this Baby Delight Snuggle Nest Harmony Infant Sleeper. If you wish to co-sleep with your baby when your travel, this is the one to go for. It has two two rigid, vented wall units that work to separate baby and yourself in order to create a safe co-sleeping arrangement, not to mention they help to prevent rollover as well. 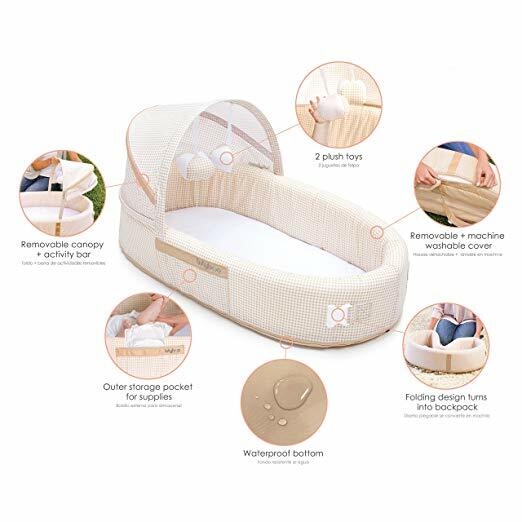 These side panels are flexible so it is simple for you to reach in and access/soothe your little one, and the structural mesh provides adequate air circulation to create a comfortable sleeping area for baby. 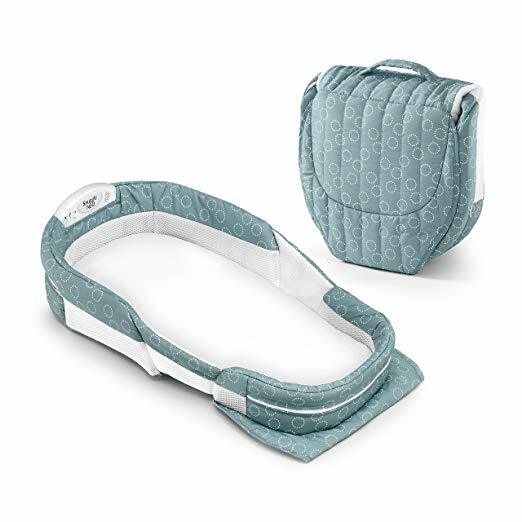 The standout feature of the Baby Delight Snuggle Nest is that it has a removable 1.5" molded incline wedge at the headrest area. This helps to relieve any reflux and indigestion that may be persistent during the newborn stage so that baby can have a more restful sleep. 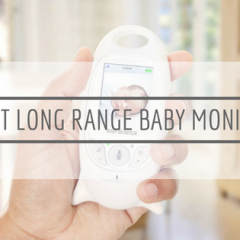 Other features include a Sound & Light unit that offers a gentle night light and soothing sounds of the womb or Brahms' Lullaby with five-level control and automatic shut-off function. 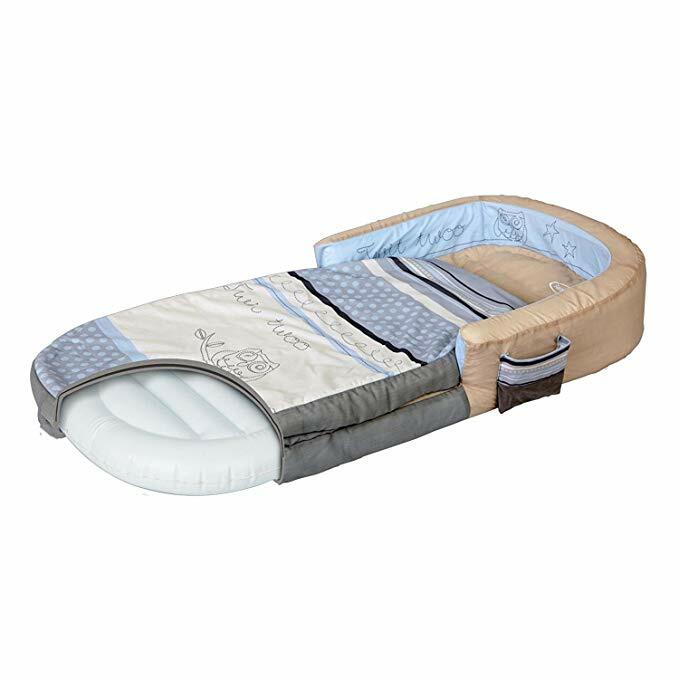 The Baby Delight Snuggle Nest Harmony Infant Sleeper makes for a good baby sleep travel bed too - it folds easily and compactly into itself, with room for even a few small items inside. When it gets dirty, simply toss the fitted wraparound sheet into the washer and wipe the waterproof foam down to restore its hygiene. Out of all the travel beds for infants, the BRICA Fold N' Go Travel Bassinet is one of the most convenient and fuss-free when it comes to foldability and compactness. 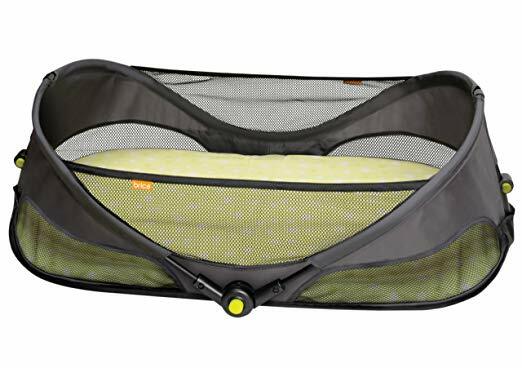 This baby travel bed is quite different from the two above with its all-around mesh sides that provide good airflow on top of the breathable fabric that is used. It folds flat for easy storage and has a convenient carrying handle to make it simple for you to bring along wherever you're headed. It can even fit in a suitcase so this is a portable travel bed suitable for air travel. You will find the Fold 'n Go Travel Bassinet a cinch to set up. Its sturdy frame locks with an audible click at four different points to let you know the bassinet is ready to use. When you're finished, just press the release buttons to fold the bassinet up completely. You can literary complete this in seconds! Weighing less than three pounds, the BRICA Fold 'n Go Travel Bassinet provides baby with a safe and comfortable place to sleep anywhere. You will have peace of mind knowing that the firm mattress and fitted sheet help provide a safe sleeping environment, eliminating all hazards. Further, the mattress pad and fitted sheet set is water-resistant and removable for machine wash so you know you can always keep it hygienic for your baby. For a cheaper version of the Lulyboo or Baby Delight, you can consider The First Years Close and Secure Sleeper - a travel bed for 1 year old or below. Meant to be used from birth until baby is able to roll over or push up on their own, you can feed, soothe, monitor and bond with baby in the comfort of your own bed by anchoring it to your bed with the large flap tuck under your mattress. It has a patented Airflow design at the hollow frame and breathable mesh fabric to keep air circulating so that baby stays cool and comfortable. The head and foot barriers provide further security to minimize risk of entrapment. Designed to be easily portable for on-the-go convenience, it folds up compactly with a carry handle for your convenience. 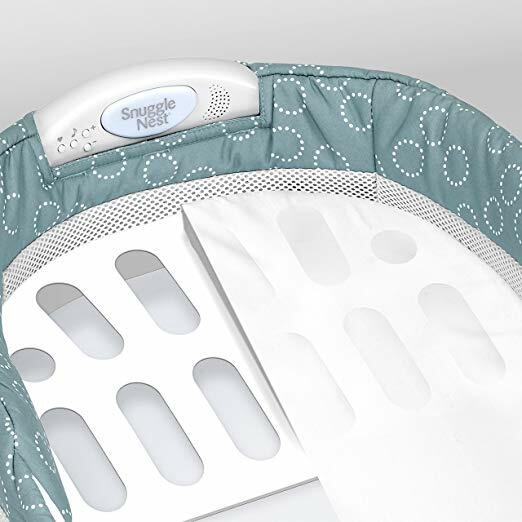 Both sheet and cover are machine washable and the removable nightlight makes it easy for you to check on baby at night. When not travelling, we recommend using The First Years Close and Secure Sleeper in the crib to help ease baby's transition from your bed when he's ready to leave your nest. This way, s/he will have the same sense of security and familiarity even when they need to sleep alone in their own crib when the time comes. Finally, let's talk about the Summer Infant Travel Bed. This baby travel bed has a front panel that can be unzipped to fold all the way down for easy and convenient diaper changes, which is why it becomes a favourite of many parents because of the convenience it brings. When baby needs to sleep, simply zip up the front panel and you will have a comfortable and enclosed place with breathable mesh side panels that promote airflow for baby to sleep comfortably. The premium mattress pad is plush comfort for baby and easy for parents to clean - just remove it and chuck it into the washer. 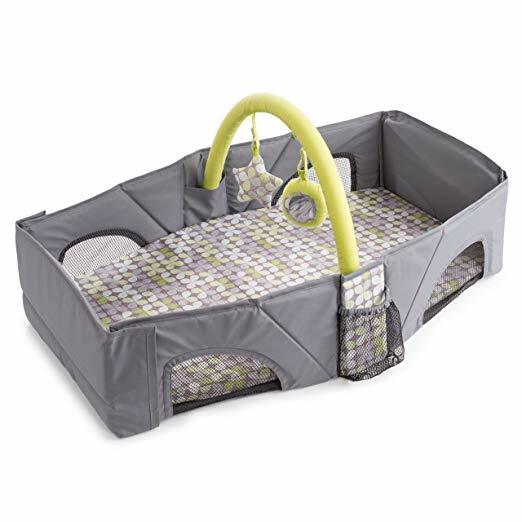 What's different about this infant travel bed is that it also comes with a toy bar with two cute toys to entertain baby during diaper changes or before s/he falls asleep. 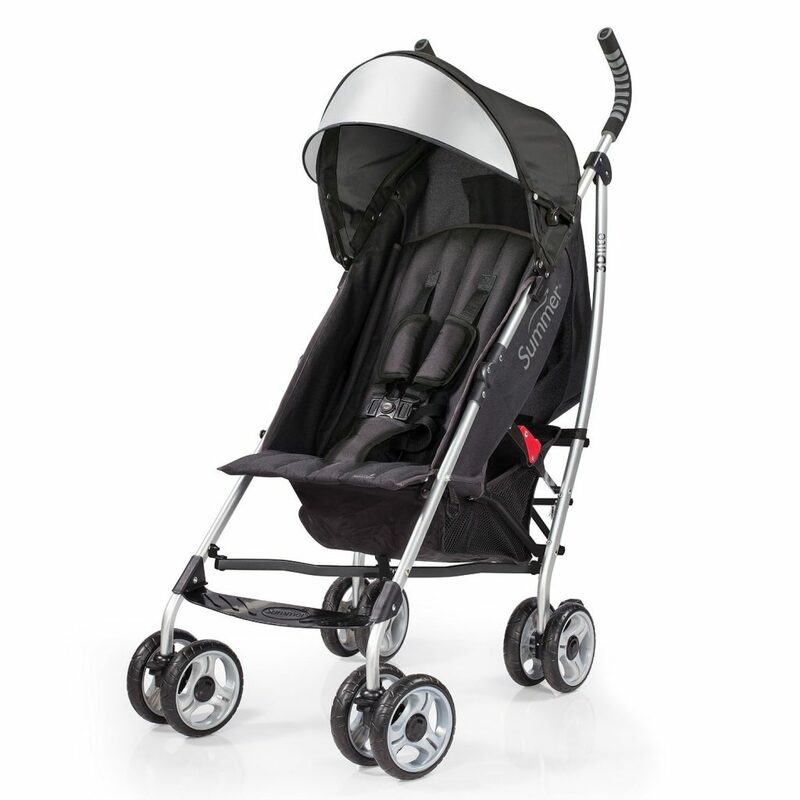 Lightweight and folds up easily, the Summer Infant has a detachable carrying strap for travel. This is perfect for quick trips, be it for afternoon naps or overnights, indoors or out. Best of all, you don’t have to worry about packing a changing pad. As can be seen from the picture above, the Summer Infant Travel Bed is compact enough to fit into any luggages so it makes for one of the best baby travel bed. 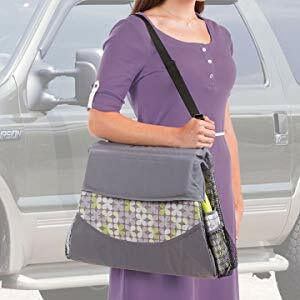 Under $35, it is no wonder it became a household staple even for those that do not buy it for travelling purpose because of its versatility and functionality.